Good rest and a good breakfast are the winning combination at the Hotel Ilio: The bedrooms, real gems of design, reflect devotion to detail, as do the staff, who prepare the abundant breakfast buffet of cheeses, yogurt, cold meats, tomatoes and mozzarella cheese, assortments of croissants and other pastries, cereals and a variety of bread, honey, jams and marmalades, muesli, eggs, juices and squeezed fruit juices, along with fresh, dried and conserved fruit, butter, margarine, cream cheese spreads and more. Breakfast can be enjoyed on the beautiful terrace overlooking the bay of Sant’Andrea; in colder periods, breakfast is served in the breakfast lounge of the hotel. The gluten-free dietary needs of coeliac sufferers can also be catered for. “Casale di Monserrato” is a recently opened B & B, but the building itself has a long history and has been used for various purposes, including that of a monastery, of which the former church remains. The house has been completely renovated and, preserving its original beauty, transformed into an enchanting B & B. The furnishings are in Iberian or Iberian Baroque style inspired by the bond with the Spanish house of the Dukes of Arcos. The natural setting of the property, close to the rocks where the shrine of Our Lady of Montserrat stands, is of extraordinary beauty and charm. The bedrooms are tastefully furnished and each offers an individual atmosphere; you only need to choose your favourite. The friendly staff will make you feel at home. 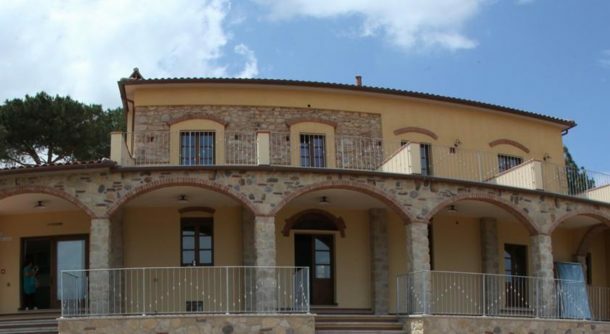 Villa Alba Restaurant is a marvellous farmhouse, newly renovated in traditional Tuscan style and with a panoramic view of the delightful Marciana Marina. The attention to detail, the tasteful furnishings and friendly atmosphere make this a true gem of a B & B, not to be overlooked. The breakfast service, one of the highlights of Villa Alba Restaurant, offers an extensive buffet of healthy, wholesome, very often locally sourced produce and all carefully chosen by the staff. For every occasion, the cuisine of this delightful B & B is based on the use of high quality raw ingredients. 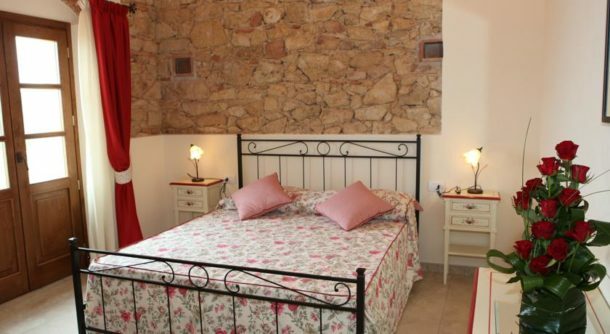 Porto Sole Bed and Breakfast is situated in a beautiful historic building set in the Medici bay of Portoferraio. The south-facing bedrooms are bright and very Mediterranean, both for the style of furnishings and, especially, for the wonderful views over the Medici dock and out to sea. This B&B is in a very quiet position in via delle Galeazze, with it many delightful shops where you can enjoy shopping for locally made perfumes, wines and gastronomic products.